Contact Downtown Miami Bike Accident Lawyers Gerson & Schwartz, P.A. The scene of motorcycle accident in Downtown Miami can be brutal. Most motorcycle accidents result in very serious injuries to riders. All the motorcyclist can do for protection is use a helmet and ride carefully. However, when someone else is not as careful, and you find yourself at the wrong place at the wrong time, you can be severely injured. The worst part is that the responsible person rarely admits liability. Motorcycle riders have the reputation of reckless traffic participants, and defendant drivers try to take advantage of this fact. That's why you should talk to a Downtown Miami motorcycle accident attorney as soon as possible. You need someone to advise you on what to do after the motorcycle accident, and that's what motorcycle injury lawyers in Downtown Miami can do. We at Gerson and Schwartz offer free initial consultation for injured motorcycle accident victims in Miami. Contact us at (305) 371-6000 and tell us about your case. We will listen to you carefully and ask questions when needed. By the end of the conversation, we will tell you what to do next and will present you with your options to the best of our knowledge and experience. 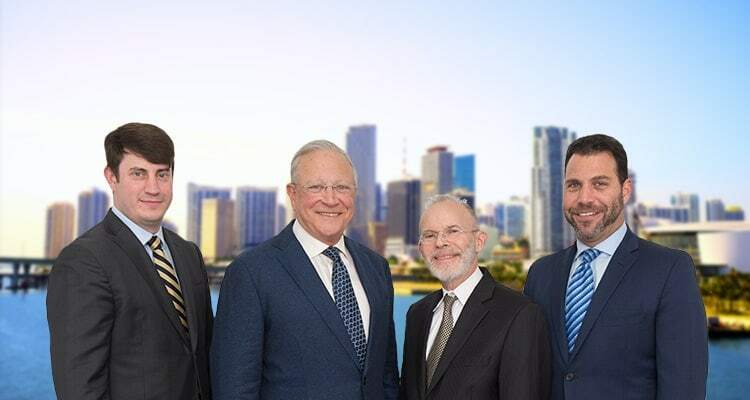 Our Downtown Miami motorcycle accident attorneys have represented injured victims and survivors of wrongful death motorcycle accidents for more than four decades. Our lawyers Philip M. Gerson, Edward S. Schwartz and Nicholas I. Gerson know what to do and they are ready to help you. For now, do not accept any quick settlement offer made by insurance companies. They are likely not worth as much as you deserve. Instead, call us for the free advice, and we'll see what can be done. This consultation does not mean an obligation to hire us, but if you do, we won't charge you fees unless we get you compensated. 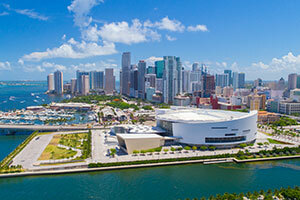 Downtown Miami is a congested area where you can find daytime population of 250,000 on less than four square miles. That’s lot of people, which means lot of motor vehicles and accidents. The most dangerous roads include Interstate-95, US 1, West Flagler Street, SW 1st Street, I-195 and I-395. These are the main roads connecting the urban center with neighboring Coral Way, Edgewater, Brickell, Allapattah, and Little Havana. The damages recovery procedures involve plenty of negotiation, gathering evidence, and proving claims. You may think that you could do this by yourself, but the truth is it will be quite difficult. That’s why the Downtown Miami motorcycle accident lawyers at Gerson & Schwartz are available for help. This is what we have done for our clients for more than 40 years now. We are ready to invest our knowledge and experience in your case. Let's start by free consultations at (305) 371-6000 and build from there. We handle cases on a contingency basis, so you don't pay unless we get you recovered financially.